At A Plus Dental, you will always be our top priority. We are a dental facility that believes in the importance of providing all patients with caring and gentle treatments in a relaxed and welcoming environment. We have serviced Campbelltown since 1997 and our goal of always putting you first has never faltered. We are one family at A Plus Dental, and your opinion matters. If you are a first time patient, A Plus Dental is the right choice. We foster a non-threatening environment in which you can discuss your dental fears and questions. We will always be ready to help. Patient comfort plays a big role in ensuring that you have a wonderful dental experience. Our dental services are centred on giving you optimal oral health without compromising your safety and comfort. From simple to complicated dental needs, we’ve got you covered. zipMoney Mediplan is available for flexible interest free payments on your own terms. 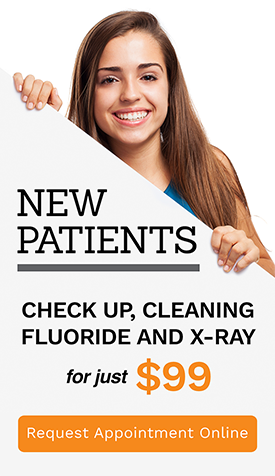 New patients are given special offers including $99 only for check up, cleaning, fluoride treatment and 2 X-rays. We offer a no-obligation dental consultation on Orthodontics and Dental implants to help you decide whether or not you wish to pursue treatment. 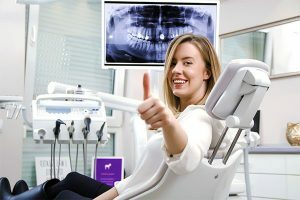 Happy gas and other sedation techniques are available to help patients with dental anxiety. Dental emergencies are addressed on the same day. HICAPS is supported for instant claiming of health fund rebates and lowering out of pocket expenses. Learn more about your dental treatments and the latest in dentistry through our updated website. New blog posts are posted every month to target day-to-day dental issues. Below are 5 simple steps that will guarantee a stress-free dental visit. More at A Plus Dental! Enjoy more dental privileges at A Plus Dental. Each day, we create more reasons for you to choose us. There’s nothing more that we love than helping you achieve your dream smile. Dentistry is more than a job to us. This is our passion.